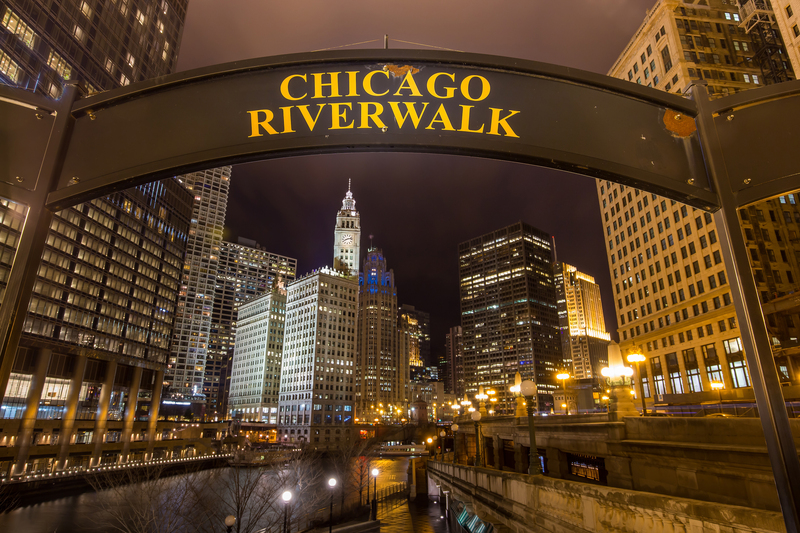 With picturesque views of the city, a diverse selection of restaurants and patios, and welcoming places to stop and rest along the way, it’s no wonder that the Chicago Riverwalk has quickly become a popular spot for locals and tourists alike. 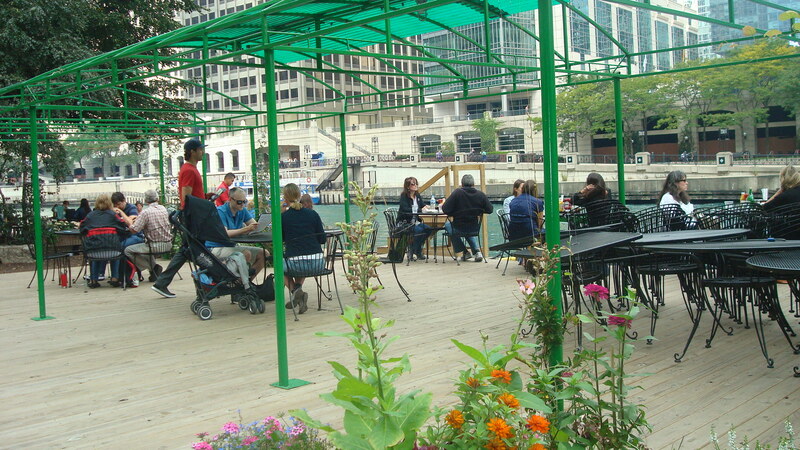 The beloved pathway along the Chicago River was made possible by a $99 million Transportation Infrastructure Finance and Innovation Act loan, which the city applied for in 2012 when Sylvia Garcia (LAS MS ’06), 14 Under 40 honoree and chief operating officer of the Chicago Transit Authority, was serving as the chief financial officer of the U.S. Department of Transportation (DOT). You can read more about Garcia and her time with the U.S. DOT in the fall issue of DePaul Magazine. The path is complete from Lake Shore Drive through LaSalle Street, and construction is underway from LaSalle through Lake streets. 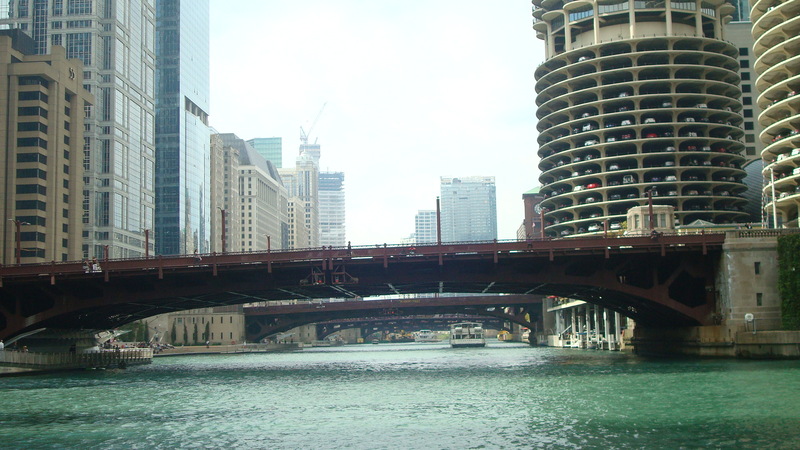 Below, take a photographic tour of some of the main attractions and beautiful views along the Chicago Riverwalk. 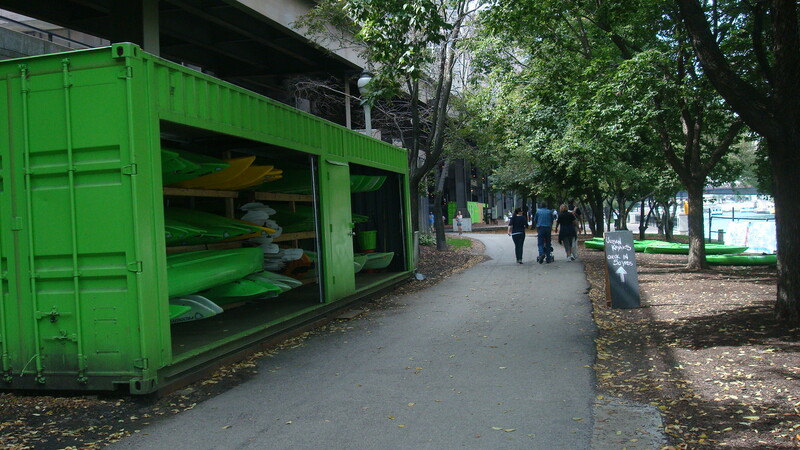 At the start of the Riverwalk is Urban Kayaks, where you can rent a kayak or take a guided tour of the river. 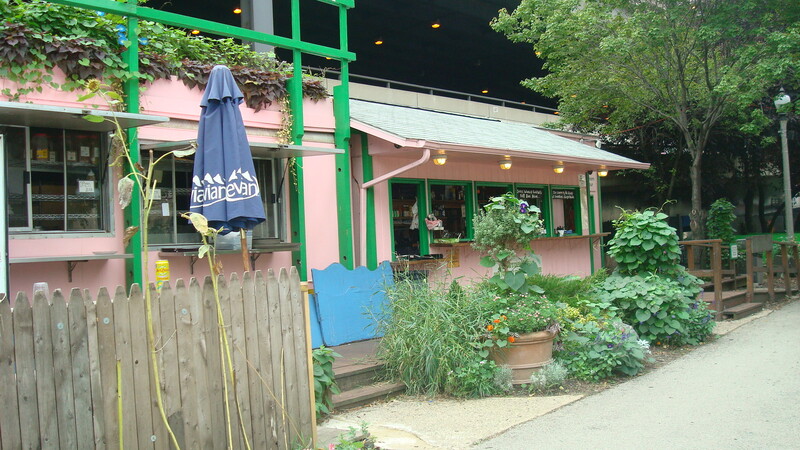 Named for famous French dramatist and poet Cyrano de Bergerac, Cyrano’s Café and Wine Bar sits toward the beginning of the Riverwalk and is one of many restaurants along the path. The owners of Cyrano’s Café and Wine Bar modeled the garden that surrounds the patio on painter Claude Monet’s garden in Giverny, France. A striking view on a beautiful day in Chicago. 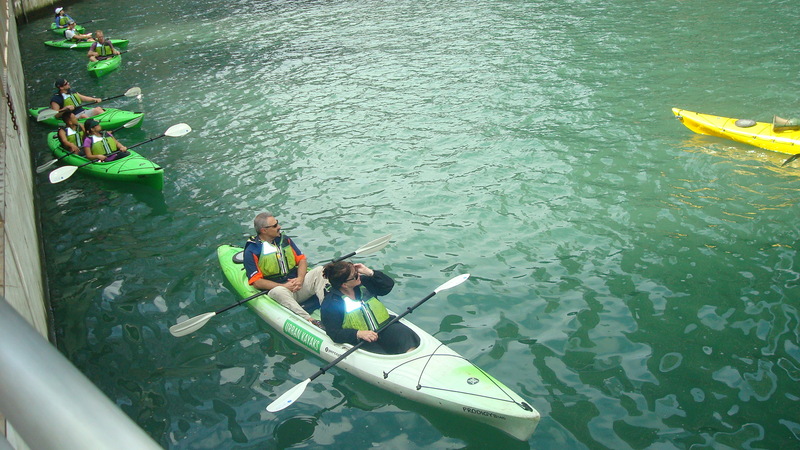 Kayakers take a tour of the river. 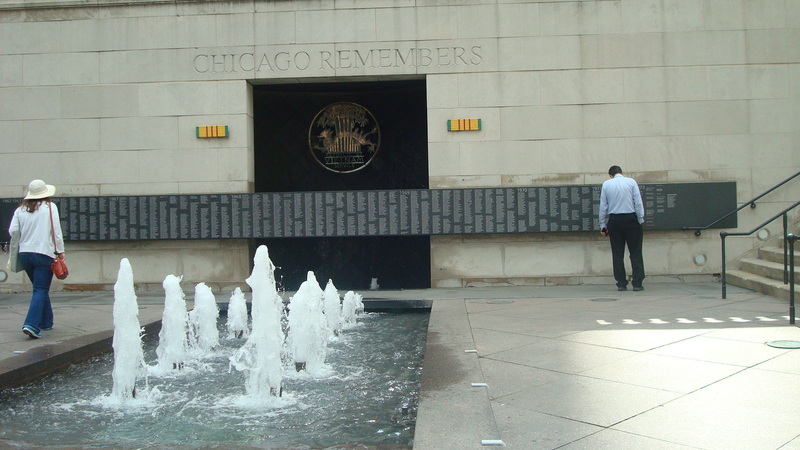 The Vietnam Veterans Memorial sits on the Riverwalk at Wacker Drive and Wabash Avenue. 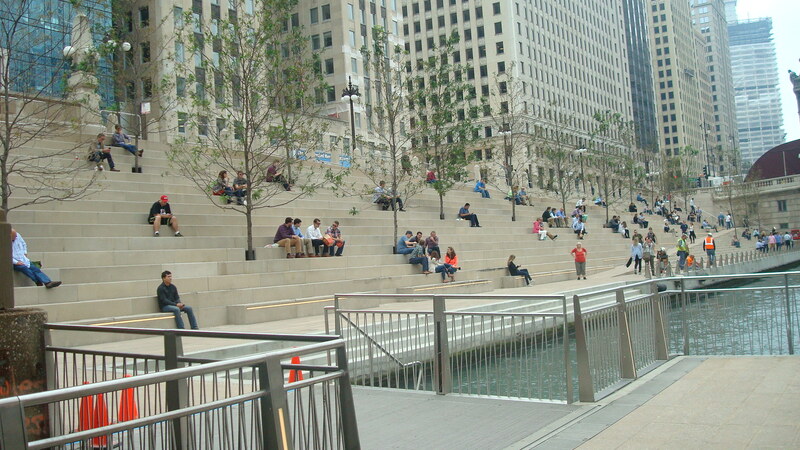 The space between Clark and LaSalle streets, dubbed river theatre, is often filled with people enjoying their lunch breaks. 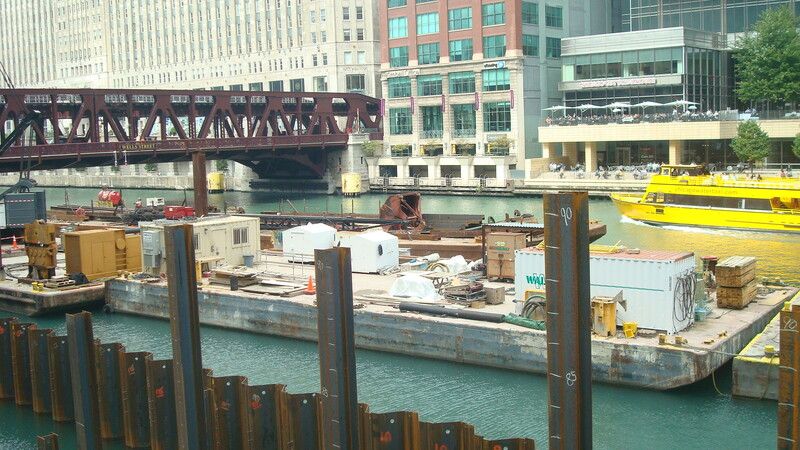 Construction on the next leg of the Riverwalk is underway. The swimming hole section between LaSalle and Wells streets will have a fountain for children to play in.